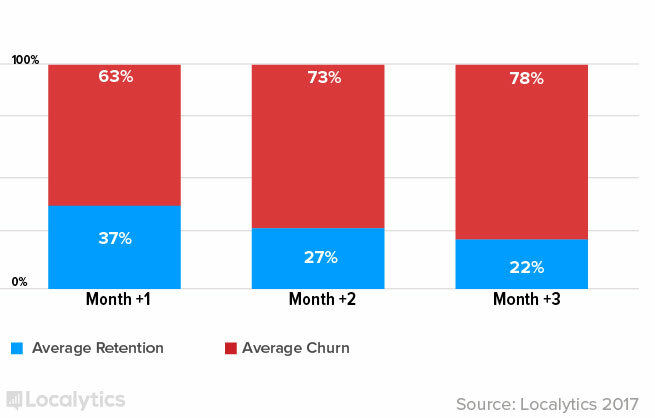 The most important difference between an app that generates leads and an app that doesn’t enjoy a lot of attention is retention. The ability of an app to retain users creates a foundation for growth. Even if it can acquire a thousand of users a day, the effort will be meaningless because there is no retention and long-term growth. As the result, the newly acquired users will be leaving as quickly as you attract them. Read the statistics below to see for yourself. An app will be successful if it meets a wide range of users’ requirements. For example, if the process of registration is too complicated, many of them will leave. Next, some app developers try to fit a lot of functions in one app, thus making it highly complex. As the result, the users have difficulties understanding how the app benefits them. 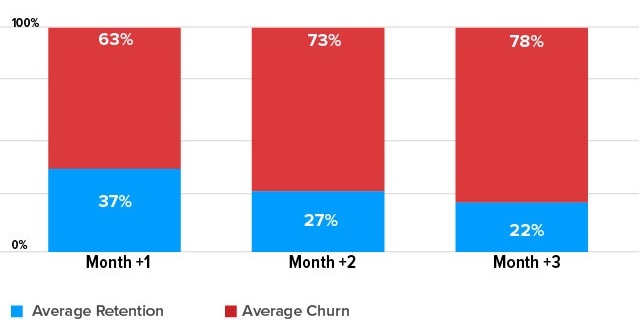 According to Localytics recent study across different industries, based on their database of more than 37,000 apps, whopping 80% of app users abandoned apps within 90 days. That means that only 16% will use an app within 2 weeks after they first test it. The results have improved compared to the previous year but still, a lot should be done to increase the retention rates. Now, let’s review five strategies for a better user retention using SAP Fiori Client. It is another UX app for managing daily business tasks out there with thousands of active customers. The problem of a complex registration must be solved if you want to increase retention rates. If an app has too many steps for signing up and two many information fields, who will use it? 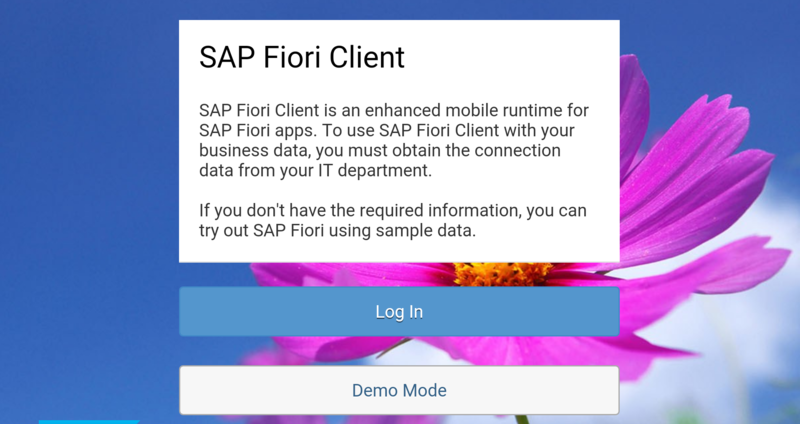 Let’s take a look at SAP Fiori Client and see how easy an onboarding should be. This image is a welcome screen of the app.It offers two options: Log In option for existing users, and, another important option for demo mode. The developers made it ridiculously easy to get onboard by requiring only two information fields to be filled out. A user won’t use an app known to have security flaws. So, to ensure that users don’t leave because of doubts over security, one has to take this question seriously and show an appropriate attitude. SAP did exactly the same. SAP uses the latest data protection technologies and their site is full of testimonials from happy users that describe how safe their data is with SAP security. Let your users know that their data and accounts safe. As we discussed above, users are likely to abandon an app that has complicated controls and a lot of unnecessary functionality. SAP Fiori Client does not have this problem. Upon logging in, the user is sent to an easy-to-understand launchpad (instead of a standard dashboard) with tips that allow working right away. The functions are great and there is access to everything. As the result, the users can quickly figure out what to do. 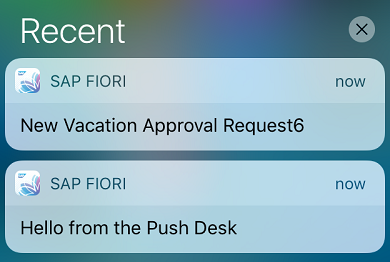 SAP Fiori Client is an excellent example of Push Notification technology. Takeaway: don’t use standard dashboards that make users wonder what to do. Make everything intuitive and responsive. A user will love an app that meets their unique needs. SAP Fiori has powerful customization options that allow to find clients in your local area and tailor the functionality for different kinds of businesses. Takeaway: make sure your app offers great customization options. Push Notifications are known to drive retention rates by up to 180 percent, so they should be implemented in order to reduce abandonment rates. This could be achieved through reminding the users about important events, meetings, invites, mentions in social media, and more. SAP Fiori Client sends instant notifications – messages based on a user’s preferences and behavior to encourage daily usage. As the result, SAP gives the users a compelling reason to return. Takeaway: provide push notification in your app. Of course, there is no magic formula for retaining all app users but you can surely boost your retention effort by eliminating the common issues: complex registration process, complex interface, and unnecessary functionality. Monitor the effectiveness and learn what your customers love to increase the usage of your app. This is a good read and the views for retaining the customers are also well elaborated. This enhances my learning. thanks. Thank you for your appreciation Shahista. I will try to share even more valuable information with you shortly. Stay tuned.